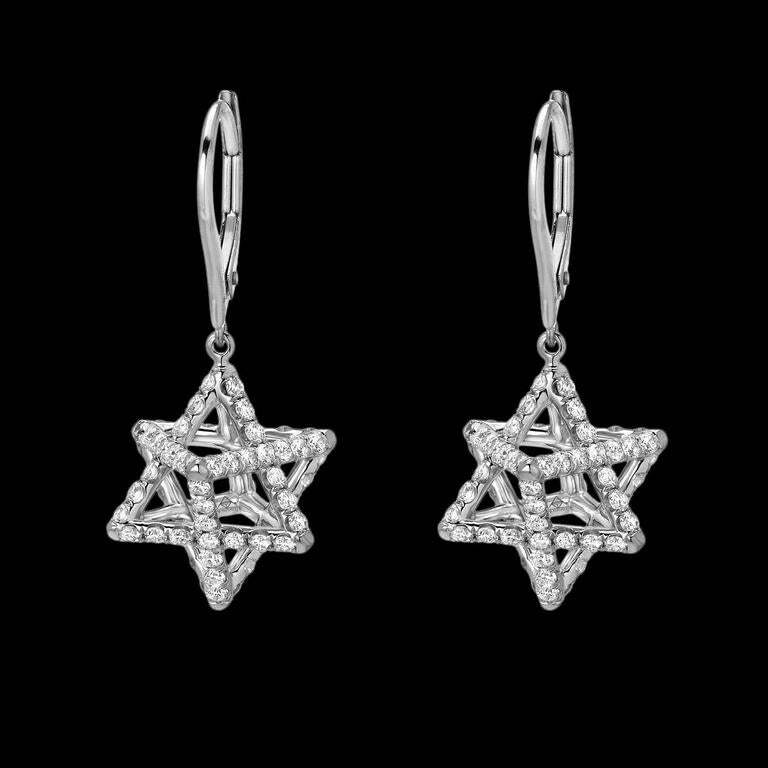 Merkaba platinum drop earrings feature a suspended diamond Merkaba star measuring 0.57 inches, set with a total of approximately 2.02 carats of round brilliant diamonds, F-G color and VVS2-VS1 clarity. 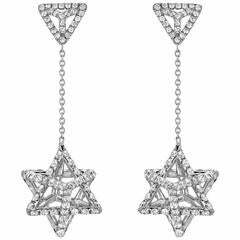 These heirloom quality earrings, 1.1 inches in length, feature a three-dimensional star in motion. *Each piece comes with a certificate of authenticity and unique serial number. *Made by extremely skilled hands in the USA, Merkaba is a shining chariot for global unity. 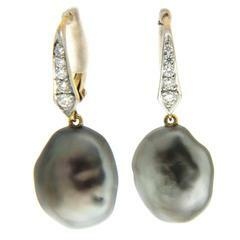 This pair of earrings feature Tahitian Keshi Pearls and Diamonds on the lever back. 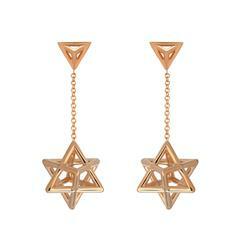 The earrings are finished in 18kt yellow gold.